Pyramid: Quest for Immortality Slots will take you back in time and have you winning big with a 96.48% RTP, generous bonus features and more! 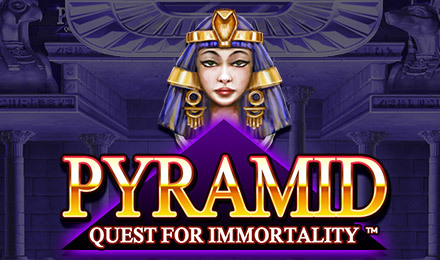 Visit Ancient Egypt and win big when you play Pyramid: Quest for Immortality Slots. There are loads of rewarding bonus features, as well as 5 reels and an incredible 720 win ways! Instead of your average spinning reels, this video slot game has Avalanche reels with symbols falling into place & exploding with every winning combination. There’s also a Wild Generation Bonus, which rewards you with extra Wilds, multipliers and more! Login and play today!